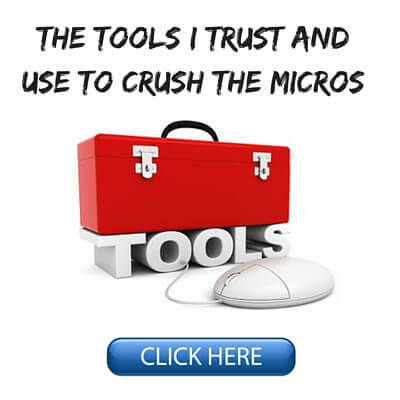 I have been around micro stakes poker on the internet for a long time now, over 10 years. And this is both from a playing and teaching perspective. So I have been able to see first hand what works and what doesn't at these limits. The simple truth is that winning at the lowest limits online is actually very easy, and yes, even in today's games. After all, you are playing against the worst players on earth! So why do so few achieve success? Well, I think it is mostly a lack of understanding about how this game actually works at a fundamental level. This is either from a technical perspective, the mental side, or more commonly, both. So in this article I am going to discuss 11 undeniable truths about what it takes to dominate at these limits. 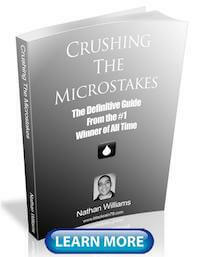 If you follow these simple principles, then there is no reason why you shouldn't be crushing the micros online. This first one might sound almost stupid but it needs to be said. Just like in the weight-loss industry one of the biggest reasons why most poker players do not achieve the success that they want is simply because they quit too early. Unfortunately we live in a society today where everybody expects fast and easy results in everything they do. Poker simply does not work this way. There is no get rich quick scheme here and it takes a long time to get real results. 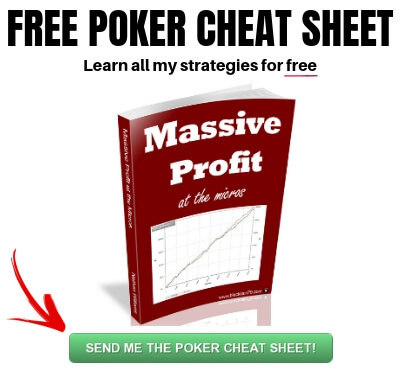 If you want to achieve big time success in poker then you need to be in this for the long term. 1k hands is not the long-term. 10k hands is not the long-term. Heck, even 100k hands is not always the long term. Talk to any of the biggest winners online at the micros and beyond and the one common denominator that you will find is millions of hands played. They play, they learn and then they play some more. Rinse and repeat this process for years. If you want to achieve your potential in this game then you need to stop getting wrapped up in meaningless short-term results like most other people. Poker is a lifelong journey. It is all one big long session. Enjoy the ride. So along with this, you have to trust in the long term mathematical nature of the game or there is no point in playing either. If you regularly tell bad beat stories (we all know these guys) or complain about how rigged the game is, at some point you really should ask yourself why it is that you still play. It is ok to get angry or frustrated sometimes in the heat of the moment when you lose. Everybody does this. It is human, it is natural. But at a certain point you have to rise above it. You have to know that if you consistently get the money in with the best hand, then you will win in the long run. And of course if you are using a proper bankroll management strategy, then the day to day (or even week to week) swings should not matter at all anyways. If losing a few hands or sessions in a row when you were a favorite is a difficult thing for you to accept, then you really need to re-assess your approach to this game. The math will always sort itself out in the end. You have to know and trust in this process or there is no point in even playing. It is ok to be a nit. There, I said it. In fact you can sit around and wait for aces and set-mine all day long while playing 18 tables and still turn a profit at the lowest stakes online. This is by no means the most optimal strategy but it does work. A loose aggressive style can certainly be more optimal especially in today's games. However the problem is that most people playing the micros are relative beginners to the game and have a poor understanding of how to implement it. The higher variance can also often prove to be disastrous for them. This ensures that you are always in there with a relatively strong hand. And it will also keep you out of higher variance marginal situations. If you find that you can't control yourself at the tables or you figure yourself to be an "action junkie", then it is very unlikely that you will succeed in this game. Winning poker at the lowest limits in particular is actually really boring. Many of these same people who play too many hands also fail to understand how important aggression and having the initiative is in this game. You should always be trying to take control of the pot preflop or postflop when the opportunity is presented to you. This means raising, re-raising and betting much more often. Everybody will make an equal amount of good hands in poker. It is those people who take control of the pot and take it down when nobody else has anything that get ahead in the end. You can simply go into your Pokertracker database and see the raw data for yourself. Filter for when you raise preflop and compare your results with when you limp. You will stop limping when you see the results. Filter for postflop spots as well and see the same thing. This is 2019 now and most people still pay absolutely no attention to table selection. This is the craziest thing on earth to me since this is the #1 skill in online poker today. Failure to do so really just demonstrates a complete lack of understanding of how this game works and where the money actually comes from. I am always on the lookout for more fish! You have to understand that your profits in poker will always be a direct result of who you are playing against. If you choose to continually play with players who are at your skill level or higher, then you will not win. You could be the 6th best poker player in the world. 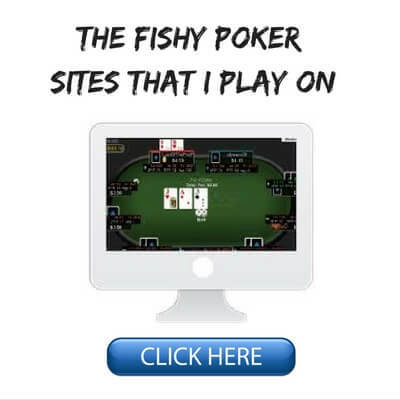 If your opponents are the 5 best poker players in the world, then you are the fish. And you will lose in the long run. You should always (yes, always) have somebody with a VPIP of 40% or higher at the tables if you are playing anywhere at the micros. And they should also be on your right. This is actually not difficult at all if you are willing to put in the effort. I have been saying it for years now. The #1 way to improve your results at the micros is to start taking table selection extremely seriously. This is not 2008 anymore. You have to go actively find the fish in today's games in order to win big. Overthinking is another huge problem that affects a lot of people at the micros these days. Once again, it is important to remember that you are playing against the worst players on earth. You do not need years of poker theory and a PHD in math in order to beat these people. In most circumstances what actually still works best at the micros is just making the completely obvious play. You are playing for a couple of dollars here or the cost of a movie ticket. Half of your opponents are complete beginners or even drunk in some cases. Save the 10th level thinking and the GTO correct frequencies for the higher stakes where it might actually matter. At the micros a very simple TAG strategy is all that you need. I have written a ton of articles on this website discussing what this means. My first book is also completely dedicated to this topic. As I mentioned before, bankroll management should really be a given in this day and age. 20 buyins per limit has long been recommended as the minimum. The last thing that you should ever need to worry about when playing poker is going broke. If you make sure that you always have a solid bankroll behind you, then these worries go away. If you follow these guidelines then you can focus on making the right plays at the tables and never play with scared money. The games will always be there. 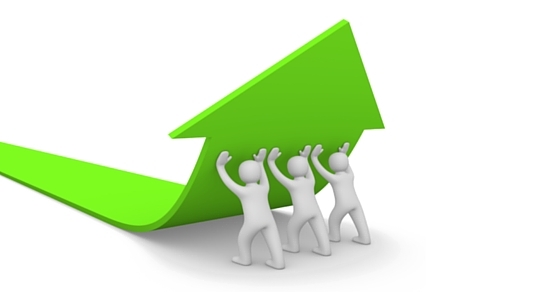 There is no big rush to move up. Something else that is crucially important to your success at the micros is position. All you have to do is once again look in your poker tracking program and see for yourself that nearly all of your actual winnings come from late position. Hence the famous saying in poker, "the money flows towards the button." I suggest that you play at least 3 times as many hands from the button as you do from early position. Forget your tricky plays with your suited connectors from early position. Nobody is paying any attention to this anyways. Don't fight against this cardinal rule of the game. Play in position as often as possible. The red line in poker geek speak is essentially your non-showdown winnings. This is the amount that you win or lose when somebody wins a pot but no cards get shown. This is the game within the game in poker. And from a technical perspective, this is really where the elite players separate themselves from the rest. The problem with the micros though is that so many of your opponents are huge calling stations (assuming you have taken point #5 above seriously). Therefore, striving to achieve a great red line (positive non-showdown winnings) is actually counter-productive because you simply can't expect to win by bluffing against these types of players. At the lowest limits in particular (NL2, NL5) break-even is the absolute best you should ever hope for. My red line is actually negative in these games and I am one of the biggest winners of all time in them. The green line (overall winnings) is the only line that actually matters. Stop wasting your time and money trying to bluff calling stations and focus on big value instead at the lower limits. And speaking of value, one of the biggest keys to success at the micros is becoming a master of getting that thin value as well. This is when you get somebody to call with a worse hand even though you don't have anything very great yourself. Everybody knows how to bet their AA, their two pair or their trips. But so many people miss out on getting that final bet on the river with 2nd pair against somebody who can't find the fold button with their bottom pair or ace high. Poker is all about adapting to your environment and your opponents. If you are playing against a bunch of no fold'em beginners then you don't beat them by running big bluffs against them. You beat them by getting the absolute maximum value out of every decent to good hand that you have. A lot of this has to do with using creative bet sizing and hand reading. Don't be afraid to go for thin value bets a little more often especially on the river. You will get called by better hands from time to time and look a bit foolish. This is actually a good thing. It means that you are doing it right. Tilt is the #1 killer of bankrolls and dreams at the micros. We all tilt at times. It is impossible not to as long as you are human. However, if having big time success in this game is a priority for you, then you absolutely must learn to harness it better and avoid the massive spew that negatively affects so many others. Many times this will simply involve quitting for the day when things obviously aren't going your way. Captain comeback sounds good in theory but it rarely works out well. You are in a poor state of mind when running bad and your chances of digging yourself out are therefore lower. A better thing to do is to quit playing for the day and just get away from the computer for an hour or two. Then you can come back with a clear mind and make a rational assessment of what went wrong by doing a session review. If your results were largely due to variance, then you can walk away feeling satisfied that you did your best and try again the next day. If your poor results were caused by bad play or tilt though, then this is something that you need to address. Everybody is going to run bad in this game and sometimes for weeks or even months on end. You can let it destroy you like it does for 90% of other poker players or you can rise above it. 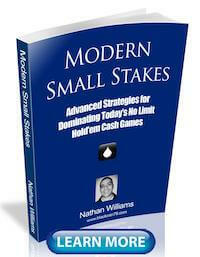 I hope that a few of the points in this article helped resonate with you at the micro stakes cash games. Believe me, these games are still easily beatable at the lowest limits. No, the money isn't falling from the sky anymore like it was 10 years ago. However, most people do not achieve the success that they want at these stakes because they lack a knowledge of (or ignore) the most basic technical and mental rules of this game. Focus on TAG play (emphasizing both position and initiative), table selection and tilt control and there is absolutely no reason why you can't absolutely crush the games at the lowest stakes online. I have been hinting at a big video series for awhile now which will be released in a few weeks. In it I crush the lower end of the micros on Stars (6max, full ring and Zoom) for some truly absurd winrates. All I do is follow the advice above. If you guys found this article helpful please give it a "Like" or a "Tweet"! Thanks Jon! I am undecided yet with the video series. It won't be on DTB though. Although I certainly might make videos for them again in the future. My personal number 12 on this list would be to eliminate procrastination. Excuses like delaying starting a session because it's not 'peak hours' or feeling like I just need to finish reading every single article on wikipedia first really do not help. Looking forward to the videos but would love it if you could maybe add some NL25 and NL50 to the series. It would be great hearing your thoughts on dealing with some of the more competent regs you'll find at these levels and also the more aggressive fish one tends to find at these stakes too. Glad you liked it! I am pretty bad with procrastination too. This article for instance has been sitting around for months haha! 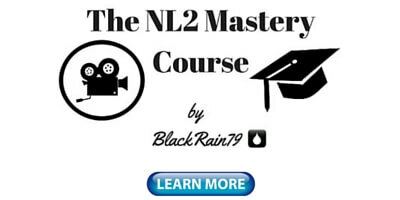 With the video series I will be starting from the bottom, NL2. I will do an entire series for each limit of the micros if people are liking it. I can't guarantee I get all the way to NL50 though. The biggest reason why is that I know most of my audience plays at lower stakes than this. Hi Nathan, perfect, every word is true, one of my favourite 'rigged' tales could be found on youtube: https://www.youtube.com/watch?v=kuBvAWwRY_o ----what I liked most (the quintessence of all walks of life I suppose) is your phrase that 'Poker is a lifelong journey. It is all one big long session. Enjoy the ride' Exactly. Do it or beat it. Not worrying about the redline includes limits nl10 and nl25 as well?definitly something i'm quite obsessed with tho :-) great blog! Nope, you should start worrying about it (a bit) by NL10 and definitely by NL25 imo. At NL2 and NL5 it doesn't matter as much. You are just part of gambling industry and pay by them, to make people believe that they can win by gambling (and to continue depositing money). I believe you that you can live from poker - selling poker books. 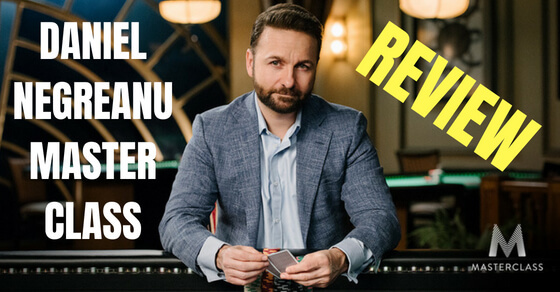 Position-Cards-Cost on flop Check -Raise- Fold .Callers die broke.I feel this is what you are saying.Excellent article and definately PATH TO VICTORY.Thanks from Ray down under. 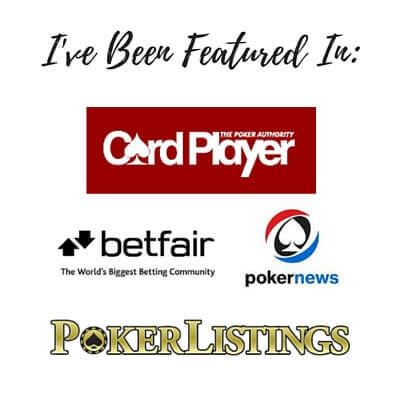 Nice article Nathan, just wondering on what sites are you currently playing that aren't Pokerstars? Looking for other sites to check on, someone recommended me Betfair a few days ago. So you're being payed by the gambling industry? That's got to be the first time I read that lol. Keep up the good work! Waiting to check out that video series! Ya, I get some goofy comments on here sometimes lol. Thanks again! For a long time I struggled with NL2, never being able to find an optimal strategy for beating it and moving up. I became obsessed with fancy strategies and math theories until I found this blog and after reading several articles I started to put in practice what I learned from you: micros are basic and simple. The better approach is simply ABC. I don´t have words to appropriately show my gratitude. Your tips changed my mind and my game bringing it to an entire another level. Just bought your book yesterday. I'm about half way through it. I play all 6 max tables so I have to adjust a little bit to your advice, but I feel like it's great advice. One question I have though is with table selection. I am in the US so I have to stick with sites that are offered here. I play on True poker with poker tracker 4 and there isn't a lot of games to choose from. Do you have any advice on how to pick games? The only stat I see on there is average players to the flop. Is logging in for a few hands and letting pt4 pull up the player stats really the best way to table select? The biggest thing when table selecting these days regardless of the site is finding the fish after you sit down. The games play tight everywhere now so the table averages are much less useful in terms of telling you if there is a fish at the table or not. As for the situation with Americans in particular, it has been difficult for several years now although efforts towards regulation have been building rapidly of late. I think that if you play on several sites though there are definitely good games to be found still though. www.pokerscout.com provides a list of all USA friendly sites (look for the green checkmark). #10, Thin Value, is by far my biggest weakness. It's not that I'm afraid of betting and getting called. I'm afraid of betting and getting raised. If I'm out of position and bet the river and get raised I feel stuck. If I have position and am checked into and I bet and get raised I also feel stuck. A lot of times I end up checking the river and I see my opponents cards and I have them beat and I kick myself. This is definitely something I'm working on. I think the thing to remember is that #1 you will very rarely get raised and #2 they are pretty much never bluffing here. There are plenty of times though where they have a 2nd best hand that would call a thin value bet.